Abby needed some new slippers and I was ready for a new pattern hunt. 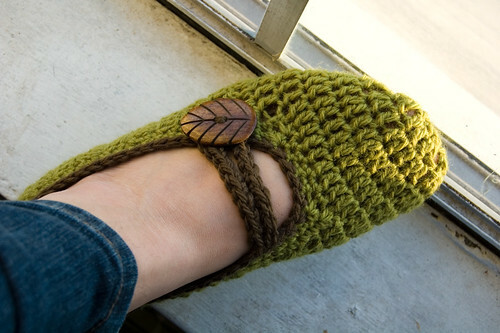 I found the perfect slippers that are easily made into whatever size you need! My only changes were that I did half-double crochets instead of the double crochets the pattern calls for. Wow!! These are fabulous. LOVE them! !